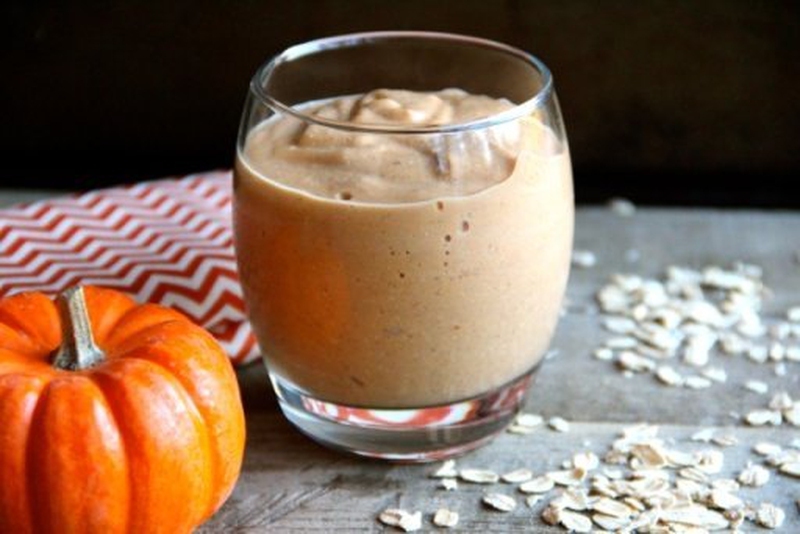 Pumpkin is an excellent source of fiber, keeping you full and helping with digestion. It also has iron and vitamin A for blood and eye health, respectively. Keep in mind that this recipe makes two servings. Start by blending the almond milk and spinach. Once they are smooth, add the other ingredients and continue blending.